With an enchanting landscape of over 13,000 islands, cool white sandy beaches, attractive temples of Bali and the pristine lands of Sumatra, Indonesia has something unique to offer to all its visitors. The bustling night markets and the friendliest of locals, make Bali a long-time honey-pot for travellers. 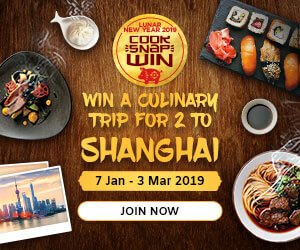 Indonesia is also a paradise for food-lovers, intertwining Chinese, Indian, European and native South-East Asian flavours, Indonesian cooking is brim with global influences. Spicy relishes, fresh herbs and hearty curries all hark to Indonesia’s history as a culinary melting pot. 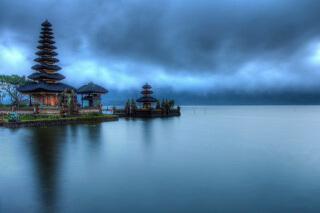 The first Indonesian holiday destination that comes to one’s mind is Bali. It’s undoubtedly one of the most-sought after holiday destinations for Aussies. Whether you are nursing a Bali holiday nostalgia, or waiting for the opportunity to go, this series of recipes will conjure the sounds, tastes and smells of an authentic Bali holiday, but without the cost of return flights. The water surrounding the Indonesian archipelago is a crystal clear stretch of unparalleled wonder. Also, the Indonesian cuisine is quite capable of blowing your mind. Here are 9 amazing Facts about Indonesia that are rarely known. The Javan rhino is an animal that can only be found in Indonesia. Nowhere else will you find this rare and endangered animal. It is the most endangered of all Rhino species. In Indonesia, on the island of Komodo, dwells the Komodo dragon, a dangerous big reptile. Komodo dragons live only in the national park of the Komodo Island. At the top of the Indonesian volcano Kelimutu are situated three miraculous lakes, each of which periodically changes colour from turquoise to green, red and black. Indonesians are fanatical about badminton, often winning gold medals at the Olympic Games in this sport. Of Indonesia’s estimated 17,508 islands, only around 6,000 are inhabited by people. Indonesia is extremely culturally diverse. In fact, there are over 300 ethnic groups in Indonesia, each with their own customs, traditions, and dialects. Indonesia became popular in the 1900s. Now this beautiful country ranks fourth among the most visited countries in the world. Marriage customs across the world are so vibrant and diverse, owing to long-held cultural beliefs. In the Western world, for instance, it is traditional for the bride to walk down the aisle and carry her “something blue”. The culture and traditions of Indonesia are so intriguing that you will want to delve deeper into it. In the eastern parts, things are vastly different. A Balinese marriage is a beautiful painting of of romance, mysticism and unique wedding processions based on interesting Balinese Hindu rituals that are steeped in Asian culture. There are two different traditions – the Ngerorod and the Mapadik. This marriage is best described as a dramatic elopement, where the bride is kidnapped by the friends and family of her husband-to-be. As part of the tradition, she fakes distress and pretends to fight off her kidnappers. She is carried off to a place with the groom. Without any luck, the bride’s family returns from a search party, during which time, the groom and bride will be live as though they are married, making offerings to the gods. Days later, an official celebration follows, which is merely a formality as the couple is already considered married in the eyes of the gods. This type of marriage is another dramatic, yet practical and more traditional than the Ngerorod marriage. It is a lavish wedding ceremony. Prior to the marriage ceremony, there are a number of visits between the families, where gifts and food are exchanged. Professional musicians and an enormous banquet entertain the guests. Elaborate clothing is worn and post ceremony, the bride and groom feed each other delicious food from the vibrant Indonesian platter. An imitation of their domestic duties is performed whilst being watched and encouraged by their family as a symbolic act of their future life together. Other rituals and blessings are then bestowed upon the couple, followed by the reception. The vibrant and diverse cuisine of Indonesia cuisine is said to be heavily influenced by ancient traders who brought along ingredients from their home country, lending Indonesian cuisine its rich variety. Discover the flavourful and colourful aspect of Indonesian cooking and culture. Indian merchants brought curries and dried spices. The Chinese traders and immigrants contributed soybean, noodles and the technique of stir-frying, while the Arabs introduced kebabs and aromatic spices.With these, Indonesian cooking and culture is as colourful as it can get. Indonesian local favourites are the well-known fried rice (Nasi Goreng), Satay (meat skewers), Beef Rendang, Sambal, and Tempeh (fermented soybean cakes). 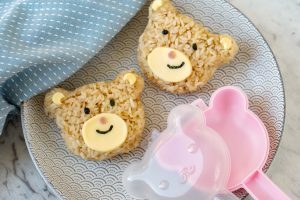 Rice, being the staple of Indonesia and Southeast Asia, is typically eaten plain, combined with a meat dish, a vegetable dish, sambal and crunches like fried peanuts or fried anchovies. Sometimes, the rice is steamed in woven packets of coconut leaves to make what is called a ketupat. It is also steamed in banana leaves and served as lontong. Indonesians like their food mildly spicy with a predominance of ginger, garlic and fresh turmeric. Commonly, all the dishes are cooked in advance and later enjoyed at room temperature. 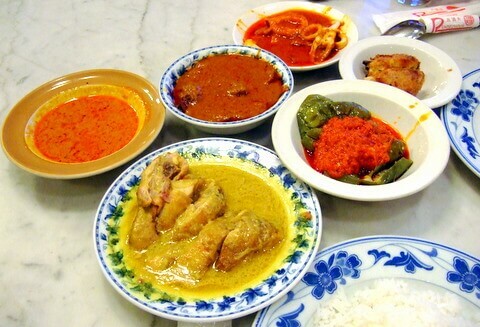 Local Indonesian dishes are named after their main ingredient and cooking method. For example, Ayam Goreng combines the words ‘ayam’ (chicken) and ‘goreng’ (frying), denoting fried chicken. Traditional Indonesian kitchens have firewood-fuelled kitchen stove. 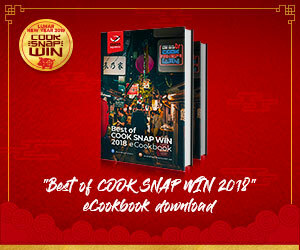 Conventional cooking utensils include the Wajan (wok), Penggorengan (frying pan), Panci (cauldron), knives, types of spoon and fork, Parutan (shredder), and Ulekan and Lesung (stone mortar and pestle). 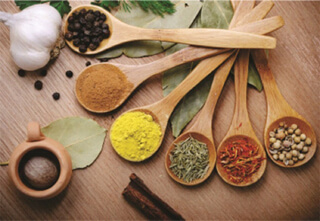 The customary stone mortar and a pestle are used to grind the spices and ingredients into coarse or fine pastes. With urbanisation, contemporary houses today use liquefied petroleum gas-fuelled stove or an electric stove. The cook wares, plates and containers are made from metals such as iron, tin, stainless steel, aluminum, ceramics, plastics, and glass. As with other South-East Asian cuisines, Indonesian dishes weave together sweet, salty, spicy and sour elements in each dish. It is often known as the “Spice Island” as chillis are found in almost every meal! 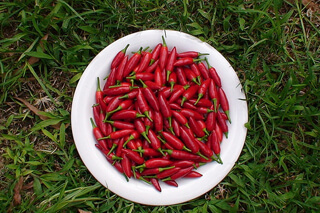 A common use of chillis is in sambal, a traditional chilli sauce used to accompany a meal. Over 300 varieties of sambal can be found across Indonesia featuring peanuts, shrimp paste or even pineapple. Here is a recipe for the most basic sambal. Kecap Manis (sweet soy sauce) is a syrupy sauce made from soy sauce and palm sugar. 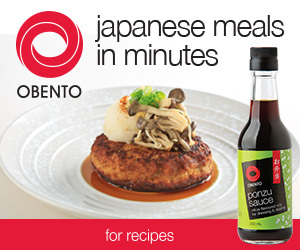 It has a very different flavour to the salty light soy sauce commonly used in Chinese cooking. It also uses Herbs and Spice like Lemongrass, Limes, Shallots, and palm sugar made from the sap of date palms, adding a flavour and colour similar to that of raw cane sugar. Palm sugar is used to create that all-important sweet balance against the salty and sour elements in Indonesian cooking. Coconut milk – is traditionally made by grating fresh coconuts and squeezing the pulp with water. Thankfully good coconut milk can be bought from our local supermarkets for use in curries, rice dishes and drinks. White Pepper – is the seed of the pepper plant with the dark husky outer layer removed. White pepper has a smoother, subtler flavour compared to black pepper. Kaffir Lime Leaves – are the ovular shaped leaves of the kaffir lime tree. They are widely used across South-East Asia both in the spice mix and added whole to soups and curries. Jalapeno chilli: finger-length chilli with a shiny skin. Is easily found in most supermarkets either in green or red colours. Both the chillies have a similar heat level. Bird’s eye chilli: What they lack in size, they make up for with heat. Also known as ‘scuds’, these are much spicier than their finger-length cousins. Dried red chillies: they are made by drying jalapenos or scuds. When dried, these chillies take on an intense and smoky flavour. 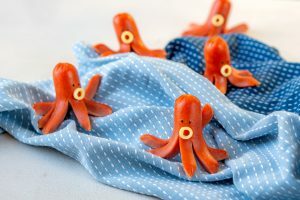 They are typically soaked in warm water before being adding to a dish. The Sauces – In Indonesia, soy sauce is known as kecap (also ketjap), which is a catch-all term for fermented sauces. Kecap Manis is an Indonesian sauce similar to sweet soy sauce – flavoured with garlic and/or star anise. Kecap Manis is sweetened with palm sugar and is used as a condiment. The sauce is thick and has a rich caramel flavour, is not salty at all. 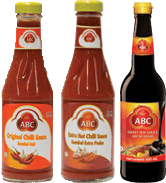 ABC Sweet Soy Sauce is an authentic, high quality, locally made-in-Indonesia product which is exported worldwide. It is the No. 1 selling Indonesian sweet soy sauce in Australia. The word ‘Manis’ in ‘Kecap Manis’ means ‘sweet’ (pronounced keh-chup mah-nees). 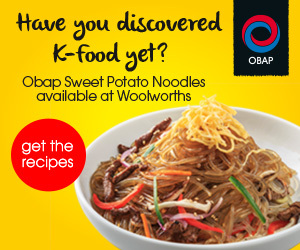 Sweetness is one of the main flavours in Indonesian food, and the key ingredient is most definitely the sweet soy sauce. 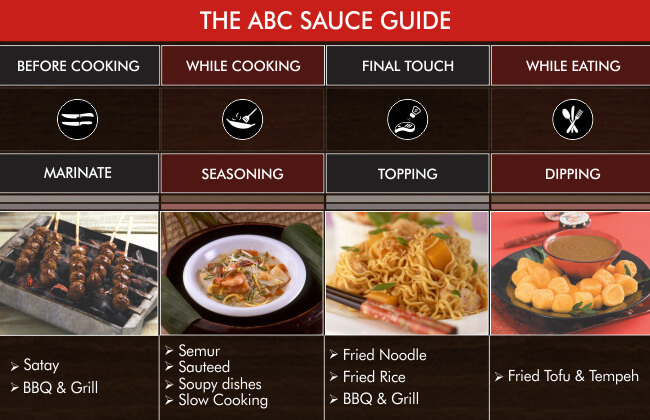 ABC Soy Sauce is made of selected yellow soy beans, wheat and palm sugar, blended with other high quality ingredients. The ideal blend of wheat and soybean results in a unique umamu (gurih) flavour of ABC Sweet Soy Sauce. Its thickness and viscosity is the result of the high quality palm sugar processing. Every ABC Sweet Soy Sauce products are processed using natural fermentation, under hygienic condition and modern technology. 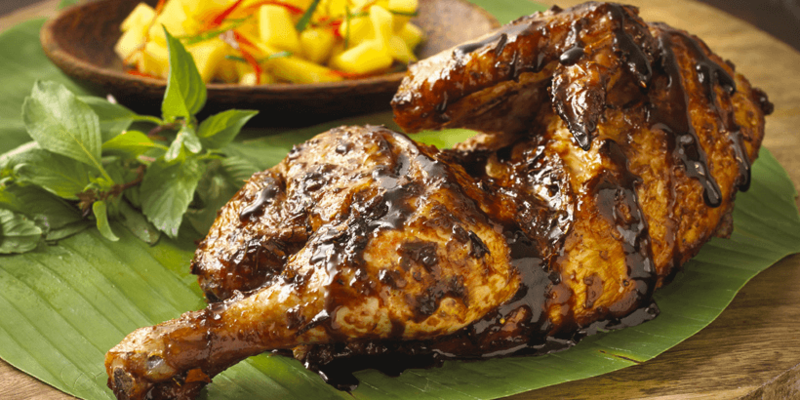 Here’s an exotic recipe of Indonesian Roast Chicken using ABC Sweet Soy Sauce. Enjoy the succulent taste of roasted chicken with a burst of other flavours served on a banana leaf platter that adds a zing to your taste buds.